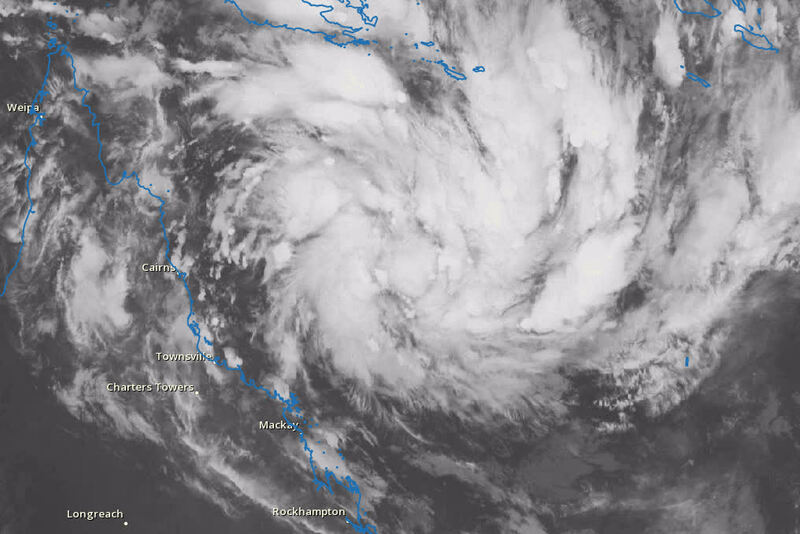 A tropical cyclone expected to reach category 5 (equivalent to a category 5 hurricane) early next week is off the north-east Queensland coast and is expected to make landfall between Cairns and Townsville on Monday according to the Bureau of Meteorology (BOM). 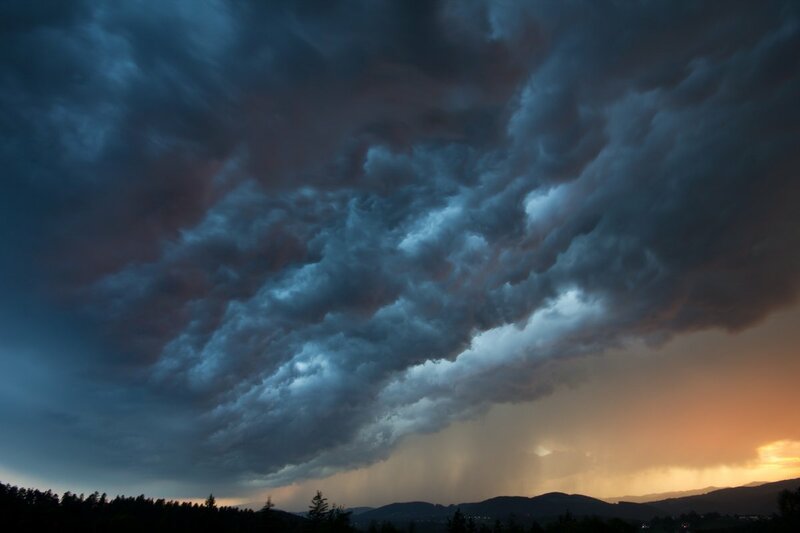 Gale-force winds were expected to begin on Saturday, with a cyclone predicted to reach land on Monday morning or on Tuesday. The tropical storm is expected to be named Debbie. The forecast path shown above is the Bureau's best estimate of the cyclone's future movement and intensity. 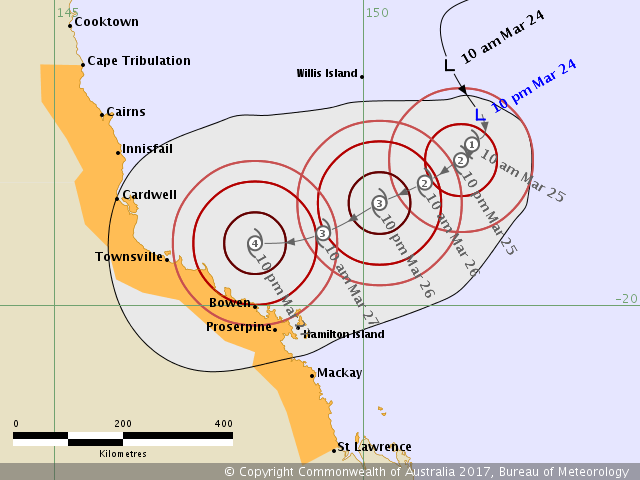 There is always some uncertainty associated with tropical cyclone forecasting and the grey zone indicates the range of likely tracks of the cyclone centre. Due to the uncertainty in the future movement, the indicated winds will almost certainly extend to regions outside the rings on this map.